On August 22, Xiaomi announced the first financial performance report after the IPO of Xiaomi Group. According to the financial report data, Xiaomi’s single-quarter revenue in the second quarter of 2018 reached 45.236 billion yuan ($6.62 billion), a year-on-year increase of 68.3%. Continued the current momentum of development, Xiaomi is expected to rank among the world’s top 500 companies by the end of the year. As an important part of the Xiaomi ecological chain, the notebooks are also constantly improving the product line, and new products are emerging. In August alone, Xiaomi released three new laptops. All of them are packed with the eight-generation Intel core processors. Among them, we can mention the new Xiaomi Gaming Laptop, the Xiaomi Notebook 15.6”, and the Xiaomi Notebook Pro GTX Version. We have managed to get our hands on the new Gaming Laptop and reviewed it. Now it’s the right time to take a closer look at the Xiaomi Notebook Pro GTX Version. In order to meet the needs of people in business, the Xiaomi Notebook Pro GTX Version comes with the stronger GTX1050 MAX-Q graphics card instead of the MX150. This is the biggest change in this laptop, while the rest of the features and design elements remain the same. Say, no change has been made in weight and shape. The Max-Q is NVIDIA’s solution for thin and light gamebooks. It finds the highest performance/power ratio balance for each load state to achieve the best possible power reduction and performance. With this adjustment, the GTX 1050 with the original TDP of up to 75W can be reduced to about 30W, and the heat is also greatly reduced. So the overall balance is maintained. Therefore, the actual power consumption of the GTX1050 MAX-Q discrete graphics card is not much higher than that of the MX150, but the game performance can almost double. In order to maximize the potential of the i7-8550U chip, the Xiaomi Notebook Pro GTX Version also uses a technology called ‘CPU performance enhancement mode.’ By adjusting the CPU’s Turbo frequency characteristics (increasing the processor TDP ceiling, it allows the processor to be long maintaining the highest frequency), it will bring more than 20% performance improvement for heavy office users. The package still comes with a minimalistic style. It is white and carries only the laptop’s photo on the front and some information on the back. The laptop’s entire body is made of magnesium alloy. It has a full metal body, and the aluminum alloy sheet thickness is 25% thicker than similar products. Its dimensions are 360x243x16.9mm and the weight is about 1.95kg. On the top side, you won’t find anything but a matte metal surface. There is no logo, and the shape is low-key. The B side adopts a three-sided narrow frame design. The 6.5mm frames on the left and right sides allow the display to reach a screen ratio of 81.5%. It also supports a hinge of 140 degrees. The Xiaomi Notebook Pro GTX Version sports a 15.6-inch IPS anti-glare screen with a resolution of 1920×1080, a brightness of 300 lumens, and a 72% NTSC color gamut. At the top of the screen, we can find a 1-megapixel camera and array microphone for everyday video and call needs. Due to the narrow bezel design on the screen, the overall size of the notebook is reduced and it is not possible to add a full-size numeric keypad. A 15.6-inch notebook without a keypad may make some people who like digital keys feel uncomfortable, but the advantage is that you can type by both hands. As you can see, there is a large-size touchpad. The all-glass design is cool and comfortable when touched. It also integrates the fingerprint unlocking function. It will unlock the notebook by tapping for 2 seconds. The power button is in the upper right corner, and the resistance is obvious when pressed, which can prevent the accidental touch. The Xiaomi Notebook Pro GTX Version comes with a full-size keyboard with an integrated molding design, a user-friendly layout, a 19.5mm key spacing standard, and a 1.5mm comfortable rebound high keystroke. In order to provide a very comfortable input experience, each keycap has a hyperboloid design with a 0.3mm concave button curve, which can fit the fingers very comfortably. So long-term typing is always accurate and comfortable. The left side of the fuselage carries an HDMI, two USB 3.0 ports, and a 3.5mm headset jack. There are two Type-C ports on the right side and a three-in-one UHS-II card reader. The Type-C interface near the hinge is the charging port of the notebook, but it also provides data transmission and video output functions. The USB Type-C interface can provide data transmission (5GB/s) and BC1.2 fast charging function. Shortly, it can charge other smart devices. The card reader has been upgraded. The control chip has been upgraded to UHS-II, which can achieve a transmission speed of 312MB/s and three times that of the previous generation. The Xiaomi Notebook Pro GTX Version is 16mm thick and it looks very thin from the side. The cooling air outlet is behind the shaft. There is a medium-sized certification sticker in the middle of the D-face, and there is a row of cooling grids on the top. The charging head supports 5V3A, 9V3A, 12V3A, 15V3A, 20V4.5A output standards, while the maximum output power can reach 90W, and it supports 100-240V wide voltage input. The Xiaomi Notebook Pro GTX Version’s charging head can also provide fast charging function to the smartphones. The charging power of 12V3A is far stronger than the current phone chargers. We have to state this notebook is really good, and the flying lines of low-end notebooks and tablets are not seen here. All detachable accessories are modular in design and connected to the main board with cables. The cooling system of the Xiaomi Notebook Pro GTX Version consists of one 11mm heat pipe (equivalent to two), one 8mm heat pipe, and two metal fans. A huge copper cooling plate in the middle covers the CPU, graphics card, memory, and video memory. The lithium battery capacity is 60Wh, which is said to provide up to 9 hours of local video playback time, according to the official data. The lithium battery and the copper heatsink in the middle are removed, and the entire internal structure of the notebook is unobstructed. On the top left side, we can see the Intel 8265D2W wireless module, which is accompanied by the I7-8550U chip and the GTX1050 MAX-Q graphics card. The 16GB memory is soldered to the top left of the processor and 4GB of DDR5 memory next to the GPU. The M.2 2280 two slots distributed at left and right ends. The left one has access to the SK Hynix 256GB SSD, while the second is empty and can be used to expand the storage according to your own need. There is a Harman Infinity custom speaker on each side of the lithium battery. Through the Dolby ATMOS certification mark, there will be a small shock in the sound field and space when playing music. The removed pure copper heat sink not only cools the GPU and CPU core but also covers the memory and the graphics card power MOSFET. The Intel 8265D2W WI-FI module uses the dual-antenna 2T2R dual-channel design, which provides the highest rate of 866Mbps. There is also a built-in Bluetooth 4.2. Several Bluetooth devices can be connected simultaneously. It comes with an SK Hynix 256GB SSD, using a PCIe x 4 bus and supporting NVMe. The master is Marvell 88SS1093, LPDDR3 the cache and flash are from SK Hynix own original particles. The memory is provided by SK Hynix. It is a single 16GB RAM (8x2GB pieces form a dual-channel 16GB capacity) with a frequency timing of 2400MHz 17-17-17. The GPU model is N17P-G0-A1, which is GTX1050 MAX-Q. The memory capacity is 4GB, the frequency is 7000MHz, the bit width is 128bit, and the bandwidth is 112GB/s. The memory particles also use SK Hynix products. It seems that this model of Xiaomi is in deep cooperation with SK Hynix of Korea. The big chip on the left is the I7-8550U, while the motherboard chipset in the right side. Of course, we understand the main comparison object is the previous-generation Xiaomi Notebook Pro. But as the results exceed the expectation, we decided to add the Core i7-7700K to the battle. In fact, it is unfair to compare the ultra-low-voltage version of the mobile processor with the top-level desktop processor. Regardless of the frequency or TDP, the two will differ a lot. Especially, the TDP differs a lot – 15 watts versus 91 watts. In the CPU-Z 1.85 version test, the Xiaomi Notebook Pro GTX Version has a single-thread score of 468 and multi-thread score of 2173. In the multi-thread test, the two Xiaomi notebooks scored quite identical. But by the end of the test, the Xiaomi Notebook Pro began to downgrade, and the GTX version maintained the highest frequency throughout the entire process. As for the CineBench R15 test, the Xiaomi Notebook Pro GTX Version’s performance is very amazing, far beyond the normal score of i7-8550U. In the multi-thread test, it reached 795cb, while in the single-thread test result is 174cb. The old version of the Xiaomi Notebook Pro performance is also very good, but compared with the Xiaomi Notebook Pro GTX Version, it yields by 35%. The GTX Version crossed the test in 246 seconds. It is 26% better than that on the previous generation laptop. The multi-thread test score of the Xiaomi Notebook Pro GTX Version is 14211. It is 3450 points more than the previous generation, leading more than 30%. Compared to the 7700K, it is only 20% behind. In the 3DMark Fire Strike Extreme test, the Xiaomi Notebook Pro GTX Version has a physical score of 11660 and a graphics score of 2685. Compared to the previous generation, the GTX version is 2300 points higher and outruns by 26%. Combining the results of the above five tests, the Xiaomi Notebook Pro GTX Version is about 30% stronger than the previous generation. When comparing to the desktop version of the i7-7700K quad-core processor, the gap is around 20%. The Xiaomi Notebook Pro GTX Version uses an SK Hynix 256GB SSD, which uses PCIe x 4 bus and supports NVMe protocol, as we said. In the AS SSD Benchmark, this Hynix 256GB SSD has a total score of 1623, sequential read and write speed over 2074MB/s and 760MB/s, respectively, a 4K random read of 42MB/s, and a random write speed of 139MB/s. In the CrystalDiskMark test, the sequential read and write speeds reached 2568MB/s and 814MB/s, respectively. In the 3DMark Fire Strike Extreme test, the Xiaomi Notebook Pro GTX Version scored 2,685, which is 80% ahead of the previous generation. As the most competitive game with the largest number of players, the emergence of ‘League of Legends’ has greatly promoted the development of global e-sports, and there are a large number of events held every year around the world. We tested at 1920 x 1080 resolution with a very high image quality. The League of Legends game is not very demanding in terms of GPU. The Pro GTX version has reached 220 frames in the test, and it can maintain more than 100 frames even in the group battle. The original Xiaomi Notebook Pro also performed not bad, with 150 frames. With the Overwatch, Blizzard Entertainment first entered the FPS field. In 2016, it was popular all over the world. Though its influence has surpassed, there are still a considerable number of players active in the game. Overwatch has higher requirements for graphics cards. We used 1920 x 1080 high effects to test the number of game frames with 100% rendering. Under the 100% rendering high-efficiency effect, the Xiaomi Notebook Pro GTX Version has a frame rate of 96FPS, which is more than 1 times that of the previous generation model. This is the flagship martial arts online game created by NetEase, and its style is self-contained. The work uses the Havok engine in physical performance and is the first domestic game to use Enlighten global illumination technology in lighting performance. In addition, the introduction of TressFX hair technology, Vicon motion capture technology, HABO + ambient light shielding technology, and others have extremely high requirements for CPU and graphics cards. Even with high-end graphics cards such as the GTX1070, it is difficult to guarantee a stable 60FPS under the highest special effects. Therefore, we only test the frame rate performance under special effects and low special effects. Under the low image quality, the Xiaomi Notebook Pro GTX Version almost provides a full frame performance. The frame rate is 58FPS, and there are 38FPS under medium quality. The old version of the Xiaomi Notebook Pro only has 31 frames in low quality, barely playable. The ‘GTA V’ landed on the PC platform in 2015, and the sales volume of the whole platform has exceeded 100 million. It is the most successful single-machine game in 10 years, and it is still popular. The screen is set to very high effects, the MSAA 2X and NVIDIA TXAA are opened, the resolution is 1920 x 1080, and the memory usage is 3122M. The Xiaomi Notebook Pro GTX Version ran out of 37.5 frames. Slightly lowering the picture quality will make the machine to run out of 50 frames. So the fluency will be greatly improved. The screen is set to 1920 x 1080 FXAA and the DX12+ default is a very high quality. Under this picture quality, the Xiaomi Notebook Pro GTX Version also ran 43 frames, and the various operations were basically smooth. ‘The Witcher 3’ is the third part of the ‘The Witcher’ series and is the finale of Gerald’s adventure. The winners of the 33rd Golden Rocker Awards – the best visual design, the best game moments, and the IGN 2015 Best Games. The picture is set to 1920x 1080 default maximum quality. As for the test results, the average frame rate of the Xiaomi Notebook Pro GTX Version is 27FPS. When the picture quality is adjusted to medium and high effects, the average frame rate can reach 43FPS. The ‘PLAYERUNKNOWN’ is the hottest PC game at this moment. The test resolution is 1920 x 1080, and two kinds of image quality tests are used: the highest image quality and the medium and high image quality. At the highest quality, the average frame rate of the Xiaomi Notebook Pro GTX Version is 32FPS. Although the game can be played, it is still not enough to watch as a competitive shooting game. When reducing the picture quality to medium and high effects, the average frame rate reaches 50FPS, and the game can be played smoothly. The performance limit of the Intel Core i7-8550U is very high. The single-core frequency can reach 4GHz, and the full core frequency is 3.7GHz. If it can be stabilized at such a frequency, its performance can compete with the top-of-the-line 4-core processors for the desktop platform, which is roughly equivalent to the i7-6700 with a TDP of 65 watts. However, if this processor is used in some notebooks that are not well qualified for heat dissipation and work, its performance will be greatly reduced. We have done several comparison tests between the Ruilong mobile processor and the eight generations of low-voltage U line. The 8550U/8250U is often not lifted by the Ruilong 7 2700U/2500U. The key reason is that the heat dissipation of the notebook seriously restricts the Core 8 generation’s performance. 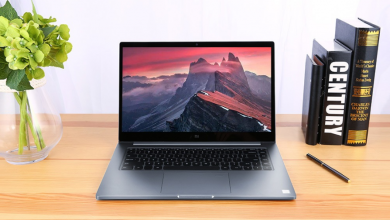 In order to maximize the performance of the Core i7-8550U, Xiaomi has made the following two improvements in the Xiaomi Notebook Pro GTX Version. The first point: the Xiaomi Notebook Pro GTX Version uses a technology called ‘CPU performance enhancement mode.’ When the discrete graphics card is not started, it will adjust the CPU’s Turbo frequency characteristics. The principle is to increase the processor TDP upper limit. So the device can remain at the highest frequency for a long time. During our testing, the i7-8550U was stable at 3.7GHz, while the TDP was stable at 25W. The second point: The Xiaomi Notebook Pro GTX Version uses a three-heat pipe twin-turbofan heatsink system. In addition, a large area of a pure copper heat sink can quickly share the heat of the processor, and the metal body also has a little help for heat dissipation. Let’s test the heat dissipation and power consumption of the notebook. We used the latest version of AIDA64 v5.97 4687 Beta for FPU oven testing. Though the FPU had been running for 80 minutes, the temperature was very steady at 67 degrees, while the processor’s TDP was 25W. It is 10W higher than the default TDP. Test results show that the notebook’s cooling system should face no problem for the higher TDP i7-8550U. For notebook surface temperature test, the charging head of the Xiaomi Notebook Pro GTX Version can provide 95W output power. When we tested the ‘Overwatch’, we found that the whole platform can reach 90W. We ran the game for 1 hour, then tested the temperature on the C surface. The top position had the highest temperature, reaching 50 degrees. The top left is 42 degrees and the right is 40 degrees. The temperature of the keyboard WASD area reaches 42 degrees, which is slightly higher than the hand temperature. The middle of the keyboard is 42 degrees and the left side is 38 degrees. The temperature of the touchpad is 28 degrees. The Xiaomi Notebook Pro GTX version has a built-in lithium polymer battery with a total capacity of 60Wh. The official data is able to support 9 hours of local video playback time. We used PCMark8 for endurance testing. All other processes are closed during the test and the screen brightness is adjusted to 50%. In the Workmark mode of PCmark8, the battery life of 6 hours and 29 minutes was measured, which was slightly higher than expected. Generally speaking, if you can get a 6.5-hour battery life in Workmark of PCmark8, it will be no problem for 10 hours in the comprehensive use environment. The performance of the Xiaomi Notebook Pro GTX Version is amazing. We have tested a lot of notebooks with low-voltage processors, and no one can make the performance of the i7-8550U so vivid. The processor performance of the Xiaomi Notebook Pro GTX Version is about 30% stronger than the Xiaomi Notebook Pro, while compared with the i7-7700K desktop platform, it is only about 20%. Another highlight of this notebook is, of course, the GTX 1050 MAX-Q graphics card. Compared with the current MX150 discrete graphics card, the GTX 1050 MAX-Q memory bandwidth is doubled. So running online games with high special effects is not a problem. In general, the Xiaomi Notebook Pro GTX Version is a cost-effective high-end laptop with an enhanced graphics card. No one says it’s cheap. But we can write down it is among the best offers when it comes to price over hardware ratio. Hey, thx for the review, but did you know why the GTX version is no more available anywhere ? Did someone have a date of re-release ? Hi is the gpu overheating after like 1 hour I watched a video that said this and it’s the only reason that hold me back to buy it.